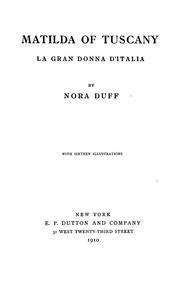 1 edition of Matilda of Tuscany found in the catalog. Add another edition? 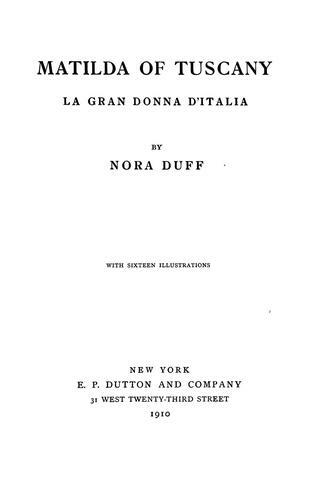 Published 1910 by Dutton in New York . "List of books consulted": p. 298-301.